I am a third (and final) year Physics Undergraduate in Durham University, proud Collingwood doe. My hometown is Burgas, on the coast of Black Sea, in Bulgaria. I graduated with 5.96 out of 6 overall (our marking system runs from 2 to 6 where 2 is a "fail") from the most reputable high school in my town - High School for Natural and Mathematical Sciences, class 2015. My profile was Mathematics and English language, but my passion was Astronomy, really. I was spending most of my time nerding about with Physics textbooks and solving Astronomy Olympiad problems in the back of the classroom. I want to continue my education by taking up a Master's in either Astrophysics or Meteorology (or both, if I get the chance and the means). Story time: Ever heard of binary stars? 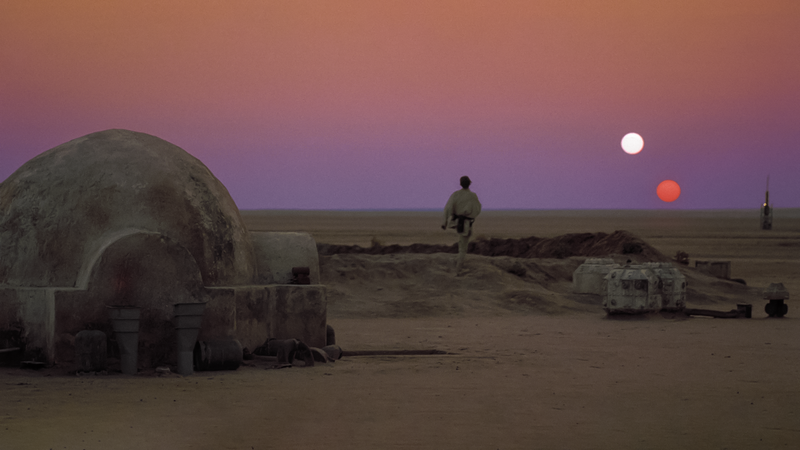 Like the one Luke's home planet orbits? Or let me tell you how I ended up urgently needing money for a workshop.... Binary stellar systems are more common than you think. For some classes of stars, the estimates of the proportions of multiple star systems from the total observable objects goes up to 80%. (I will spare you other fun facts about these, I know you know Wikipedia is there). Scientists have been trying to understand the physics of such stars for a long time. The way we do this is though light curves of the star systems - we measure the amount of light we receive from these stars. If the geometry is right, they would eclipse each other. This is why we mostly call them "eclipsing binaries" when we observe them. I have been observing these for 3 years prior to my arrival in Durham, and I waited 2 academic years to get my hands on the department telescopes (I am very proud of the photos I got there). This photo was taken in August, 2017, during my internship in the Durham University Physics department under the supervision of my amazing academic adviser, Prof Timothy Roberts. I was one of the recipients of 2017's Collingwood's Undergraduate Research Internships (UGRI) funding. I worked on a project focusing on data from the Swift X-ray Telescope (part of a satellite observatory), observations of a couple of Ultraluminous X-ray Sources (ULXs). It is still unknown what is the nature of these objects - their main feature is that their luminosity in the X-ray spectrum is excessive to be produced by a known type of object. Any of the currently working theoretical models for estimating the maximum possible brightness of compact objects suggests that that they are far too massive to be single objects that behave in an understandable way. Some of the theories are that these could be "X-ray binaries" - neutron stars orbiting each other, or "Intermediate Mass Black Holes" (IMBHs) - there are two main types of black holes confirmed, stellar (that happen after the collapse of a very massive single star in the end of its life), supermassive black holes (yes, like the song) that are normally found in the centers of galaxies. Intermediate-sized ones have not been observationally confirmed yet, even though there are convincing theoretical mechanisms for the way they could form. A couple of observations fit some of the models, made by researchers, but further effort is still needed. All of this is tightly related with the dynamics of double (or multiple) stellar systems - because of the possibility of ULXs to be binary neutron stars (or something similar) or IMBHs, that could form in the center of a stellar cluster. Either way, understanding the way matter behaves in close systems is key in making models and predictions that would later be confirmed or rejected by observations. PHOEBE and Nightfall could be useful tools in modelling the early stages of the lives even of such "extreme" objects. 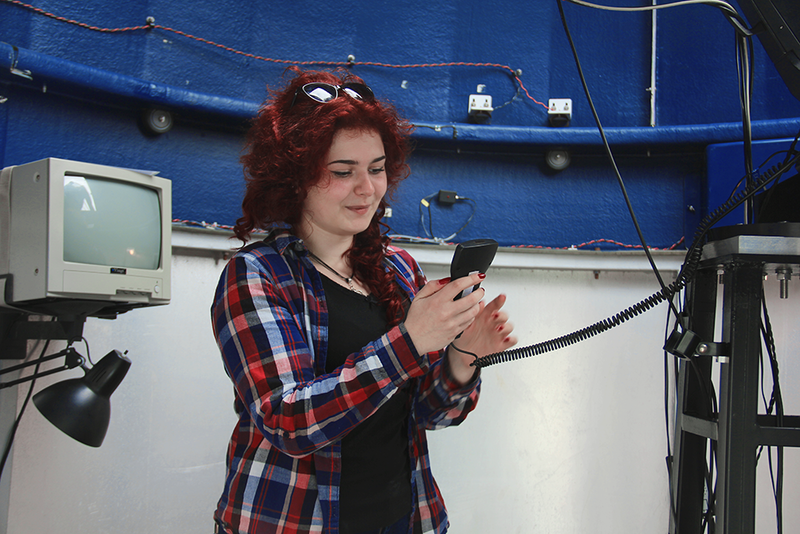 Apart from my astronomical projects, related to Durham, I have attended an Astronomical summer camp in Bulgaria for 5 consecutive years (and I am currently trying to help with the organisation of this), where I have gained experience on observations with small telescopes. I represented my country at the international Astronomy and Astrophysics Olympiad in Romania in 2014. This year, during my level 3 lab, I observed a contact eclipsing binary and tried to make a model of it with a program, called Nightfall, that I was vaguely familiar with in advance. You can see the result (if you haven't so far) in the video in the beginning of the page. During the research I was doing on contact binaries, I stumbled upon PHOEBE - a piece of software, alternative to Nightfall. It was used in the main article I used as a data source on the report on I wrote (and it was a paper by two fellow Bulgarian authors, yey!) and in AstroLab, a couple of years ago, before I came to Durham. It turned out that the developers of the program, American and European astrophysicists, organize a workshop to teach the academic community to use PHOEBE 2 - a brand new version with a bigger variety of tools and capabilities. I applied for this workshop and (to my own huge surprise) I was accepted. However, even though the workshop is free of charge, travel and accommodation is not covered. Тhis is where I need your help. I scraped though uni and I will need to work for one year to afford a masters. Clearly, I cannot afford to cover the expenses myself but I am certain that with a little help I will make it there and back! All I need is plane tickets (at the moment, prices are about 550-600 GBP to fly to Pennsylvania, but these may change), travel costs for my Visitor Visa interview and catching my flights (not more than 200-250 GBP on top) and accommodation - 6 days for 55 USD each (for the record, that was my cheapest option). Adding everything up, (counting the Visa as well), everything would cost around 1200 GBP. If the reward of helping to better understand our universe is not enough, I'm offering a few fun rewards in return for your support. Everyone that helps will be invited to a celebration event when I return from the workshop! There are also a few more special "Thank you's" listed at the donation levels to the right. I am planning to organize a couple of events before the workshop, some to explain to my community what is the workshop about and how binaries are important in the main picture of astrophysical research, and some to just add to the fundraising. Keep an eye on the updated for details of these events! You will have the chance to come and meet me at pretty much all of them. You might have gathered, but I need to note that this is very important experience to me! In research, each workshop, tutorial and internship counts, and last but definitely not least, this is a training on something I am passionate about and have been ever since I was a kid (I can show you the posters in my room and you will get what I mean). Please, share this with everyone you think that might be on board to help! Any amount of money will help! Share, share, share! Facebook, Twitter, e-mail, your department (if you think they could help), share it with anyone! You get a selfie from Villanova! Will do my best to find a nice location with a good view or with interesting landmarks. You also get an invitation to the celebration event I will organize when I return. Details will be announced later, up to two weeks before the event. Keep an eye on the updates! You get a post card from Pennsylvania with my huge gratitude!